The Richardson Brothers Saw Works was formed in 1859 in Newark, New Jersey, by Christopher and William C. Richardson. The company, which was located at 15 Railroad Avenue opposite the Market Street Depot , enjoyed immediate success because of the quality of its products. From the company’s inception, Christopher Richardson was a prolific innovator in the area of saw manufacture. He was granted 9 patents. Among his innovations was a method to temper the steel used in the saw blade. This tempering process made a blade that cut better, stayed sharp longer and was more durable. The Richardson’s saw works had few peers when quality and reputation were considered. To this day their saws are highly sought by collectors and demand premium prices. 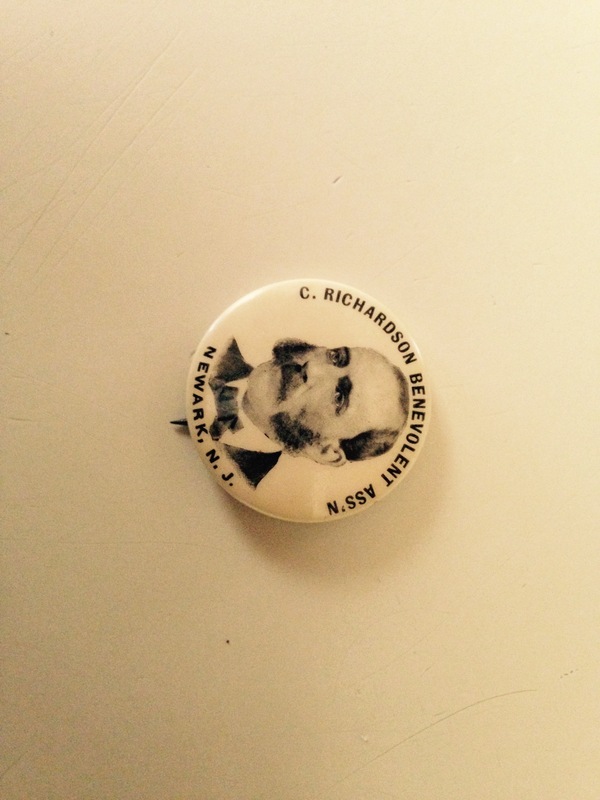 The button in this blog is for the C. Richardson Benevolent Association. I was unable to find any information about whom the benevolence of the association was directed toward. I am willing to venture the guess that the gentleman on the button, manufactured by Whitehead & Hoag(previously profiled), is Mr. Christopher Richardson. My great-grandfather, John J. King, and his brothers were among the organizers of the C. Richardson Benevolent Association. The association was formed as a precursor to life insurance and workman’s compensation. The workers formed the association to benefit injured workers and the families of deceased workers. Thank you for your comment. I was unable to find much about C.Richardson Benevolent Association. Can you provide any additional information, such as the years of operation? Any information would be appreciated. Many thanks for taking the time to comment.